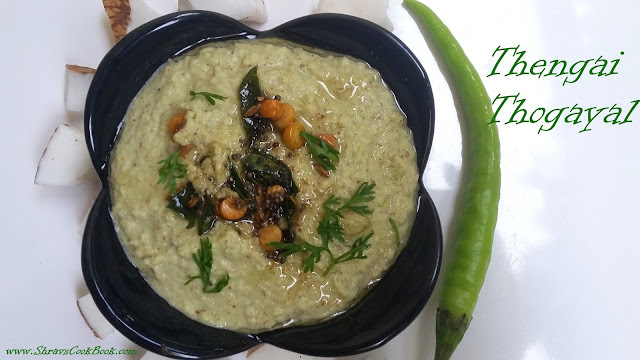 Nariyal chutney recipe in hindi is known as Coconut Chutney in english, Kobbari Pachadi in telugu and Thengai Thogayal in tamil. This recipe is a plain nariyal ki chatni where I used tamarind to bring tanginess which makes it even more yummy. You can add curd instead of tamarind for tangy taste. I will be posting nariyal chutney recipe with dahi later. I made this recipe with green chillies to make it spicy enough. You can prepare this with red chillies too. This nariyal ki chatni can be made pairing up with veggies such as carrot or capsicum. We can add coriander or curry leaves also to get a hint of leafy taste. I wanted to keep chutney in white colour only so I didn't use turmeric powder and not much greens as well but you can also make this chutney with loads of fresh curry leaves(kadi patha) and coconut. I served this chutney with dosa so I added little water while grinding. You can serve this kobbari chutney for rice too. If you want it for rice then do not add any water while grinding. You get a thick coarsely blended pachadi which goes well with steamed rice and a dollop of hot ghee. you can serve this kobbari pachadi for dosa, idli, rice, chapathi, garelu. 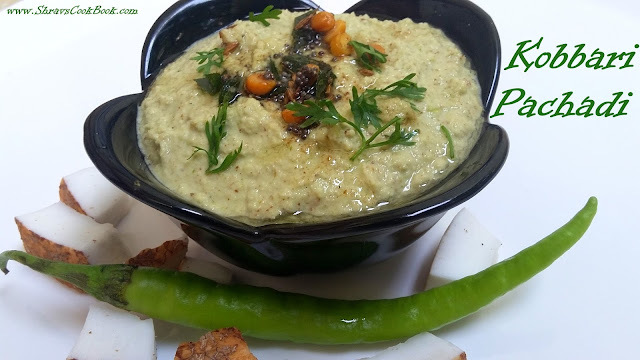 Let us learn how to make nariyal chutney recipe. 4. Now prepare tempering using ingredients under "For Tempering"
8. 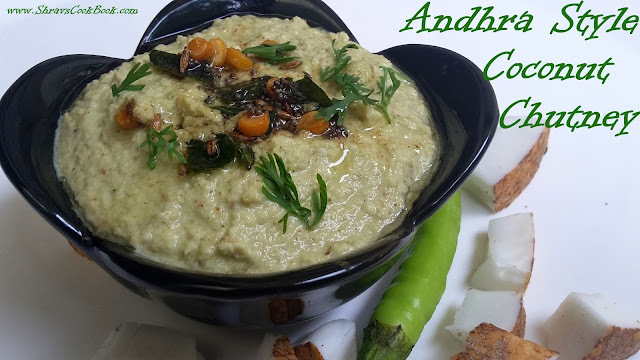 Your kobbari pachadi or Nariyal chutney recipe is ready.